Apple is set to release the latest version of its mobile operating system in the coming weeks. Here’s how you can ensure that your device will be ready to receive the update. 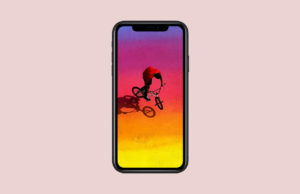 Apple announced the eighth major release of its iOS mobile operating system at its Worldwide Developers Conference in June. 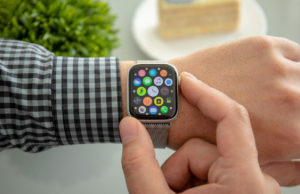 The latest version of iOS include improvements to the Siri voice assistant, a new health and wellness app, and revamped notifications, among other things. With iOS 8 slated to arrive on devices in the coming weeks, now is the perfect time to ensure that your iPhone or iPad is prepared to receive the update. These tips will help make the transition to iOS 8 from iOS 7 as smooth as possible. If you’ve been holding on to the original iPad or iPhone 4, it may be time to update to a newer device. 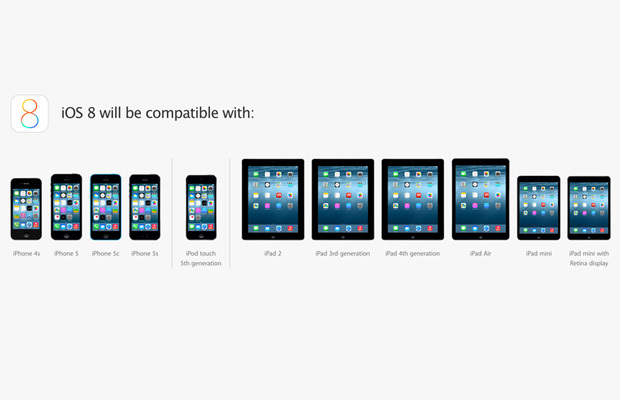 Not every one of Apple’s devices is capable of being updated to iOS 8. 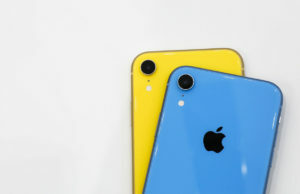 The company has said the following devices will be receiving the update: iPhone 4S, iPhone 5, iPhone 5S, iPhone 5C, iPad 2, third- and fourth-generation iPad, iPad Air, fifth-generation iPod Touch, iPad Mini, and iPad Mini with Retina display. The over-the-air iOS 7 update package was about 700MB depending on your device, however users were required to have at least 3GB of free space on their devices in order to actually install the update. You can expect iOS 8 to have similar storage requirements, which makes now the perfect time to free up some space on your device. I recommend deleting unused apps (which can be done with a long press to the icon, then hitting the X which appears when the apps start shaking), and moving photos to iCloud or another cloud service such as Dropbox or Google Drive. You can also move photos and videos to your computer to free up space rather than having to delete old memories. Connect your iPhone or iPad to your computer using the USB cord, then, on a Mac or MacBook, use iPhoto to import all or select photos to your computer. From a Windows computer, enter My Computer, select your device under the Portable Devices section, click on the DCIM folder, and simply drag and drop which photos or videos you would like to transfer to your computer. To see how much storage is remaining on your iOS device, enter Settings, click on General, and select Usage. Now would also be a good time to install any lingering software updates you have been holding off on. You will need to be on the latest version of iOS to update to iOS 8. To check for updates, enter Settings, click on General, and select Software Update. You should also install any app updates that are available before updating to iOS 8 to ensure that your apps will work properly after the move. Although you are unlikely to run into any major problems when updating, it’s always a good idea to have a backup of your device. You know what they say, it’s better to have it and not need it, than to need it and not have it. There are two methods for backing up your device. The first is with iTunes, which will store a backup file on your computer. For this method, you should have the latest version of iTunes installed. Start by connecting your iPhone or iPad to the computer with the USB cable. Then, select your device and click on the Summary tab in the top menu. Make sure that your computer is selected, and then click on the “Back Up Now” button on the right-hand side. If you rather back up your data to Apple’s cloud service, select the iCloud option located above the computer option. 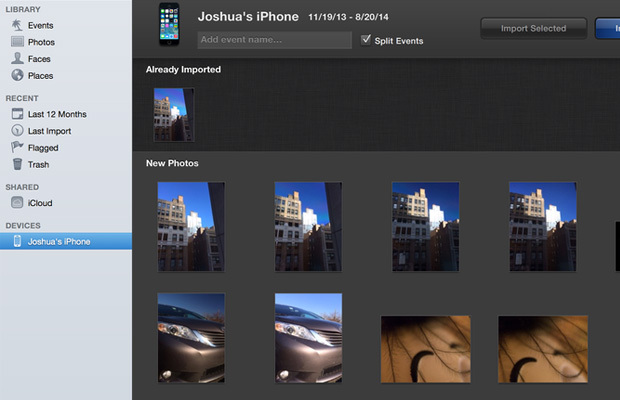 Data can also be backed up directly from your device to iCloud. Make sure Wi-Fi is enabled, then enter Settings, select iCloud, and click on Storage & Backup. From here you can choose which files and settings you would like to store on the cloud. Once you have made your selections, scroll to the bottom of the page and click on the “Back Up Now” option. As we have seen in the past, sometimes these big updates can cause problems for older devices. 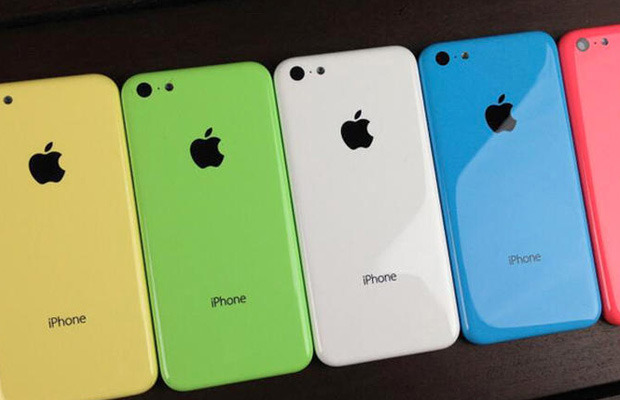 Owners of the iPhone 4 complained of poor battery life and performance issues after updating to iOS 7. We all like new things, but it may actually be better to hold off on updating for a week or two if you own an iPhone 4S or an iPad 2. This should help you avoid some of the problems that can arise when updating your device.